THIS is how a woman should be remembered. Carrie Fisher unexpected died at the age of 60 on Tuesday, following complications from cardiac arrest, leaving behind a huge hole in popular culture and the hearts of so many of her fans. But, because Fisher had such a savage wit and such an unholy knack for self-deprecation, she had already prepared the world for her passing. In fact, throughout her various memoirs and interviews over the years, Fisher had frequently spoken about how she should be remembered after she died. On Tuesday, Buzzfeed called out a passage from Fisher’s 2008 memoir, Wishful Drinking, where the writer and actress recounted a story from her early days of filming Star Wars when she realized exactly what her eventual obituary should say. However, that wasn’t the ONLY time that Fisher talked about her legacy. 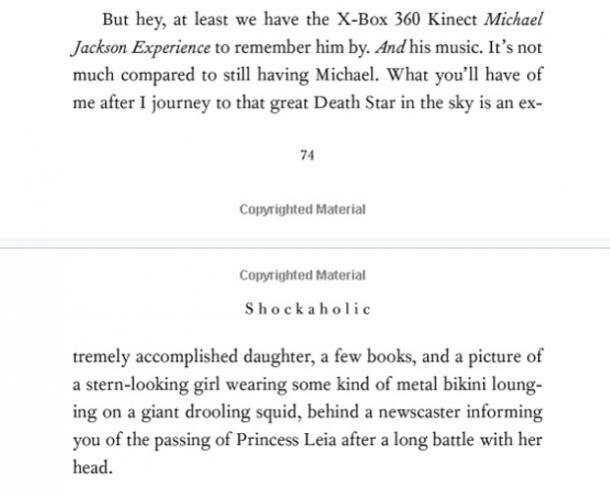 In her 2012 memoir Shockaholic, Fisher recounted a story about meeting a U.S. senator and realizing that he would only know her as the actress who played Princess Leia. She later revisited the same topic — on how she would be remembered after her death — while talking about the (at the time) recent passing of Michael Jackson. 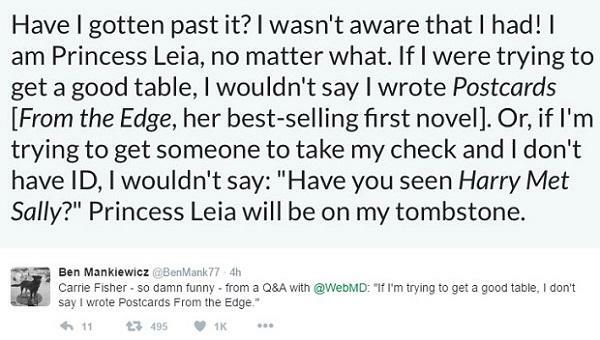 Later, in a Q&A with WebMD (of all websites), Fisher even acknowledged that her iconic role in Star Wars would probably follow her all the way to her tombstone. And, to her credit, she was more or less right. The majority of the news coverage of her death so far has focused on the “passing of Princess Leia.” The good news is that we already know that Fisher would’ve be fine with that angle on her death. She knew it would happen. She didn’t mind. She liked being known as Leia. In some way, that makes remembering her a little easier. It makes the sting out of the wound a bit. Because Carrie Fisher was always in on the joke. She was honest to the very end and nothing would’ve surprised her about how the media reported on her passing. She was an out-and-proud pop culture princess. She knew that they’d use the hair bun and white dress photo to commemorate her death and she’d made peace with that. All she wanted from us was to remember her honestly and to tell anyone who asked that she drowned in moonlight, strangled by her own bra. 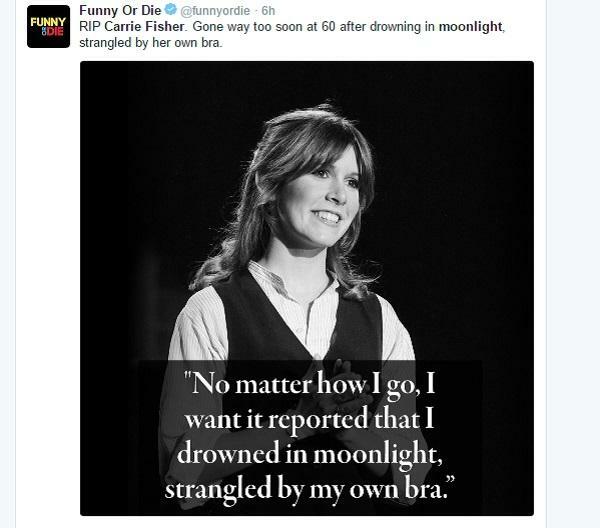 Carrie Fisher — beloved author, actress and activist, died on December 27, 2016 — drowned in moonlight, strangled by her own bra.